Some of the maps correspond to areas where the APA Liceo Club of Corunna usually organizes its activities, so it would be nice if, before organizing an event, the interested party contacted the club. In the world of rally, scratch is the best time obtained in a stage. 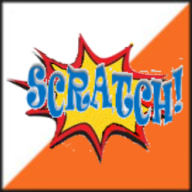 OScratch is an Android mobile application that puts the focus on viewing scratchs. As soon as you click on the goal (or somewhere in between), compare the time of the participant with the times of those that have already passed and show an animation if you have achieved scratch (or top 5, or top 8) It also shows the provisional position , the time and the difference with the first. See the brochure to get a better idea of its main functions. Initially conceived for use in the classification phase of a Knock-out sprint competition. See the initial design script for more information about the development of that event. Once the application has been downloaded and installed, it will be necessary to give it permissions manually for some of its features (access to internal storage and reception of SMS messages). To do this, go to the Device's Settings menu, applications, permissions, select the OScratch application and grant the required permissions. For more complete information about its configuration and operation, see the manual. Although it is not a product, it has been developed with the intention that it works well in demanding environments. You can see a video example of simultaneous marking of 50 SIAC cards, with storage in the program and upload as a radio control to the CPI server. Management of an event with Excel book. It is an Excel book that contains the necessary functionalities to perform the management of a simple one-day event. Being an Excel book, data can be easily manipulated and ad hoc functions can be incorporated. Management of a knockout-type event with Excel book. The same as before to manage an event but in the form of a knockout, that's to say, including several rounds just to get a final round. Example of registration form. Again in Excel, this is an example to be able to handle registrations and create a file in format supported by the OE2010 program. The example is real and has been used for enrollment in school competitions. Calculation of clubs scores. This time in OpenOffice / LibreOffice format. The goal is to be able to calculate a score for clubs after an event. Basically, it is to paste the CSV of results provided by the OE2010 program, to parameterize the way to calculate the score by clubs and to execute the functions that perform such calculation and the ordering of the results. It is a real example used in school and university competitions. 2018 Spanish School Championship management. There are several Excel and OpenOffice / LibreOffice files that were used to perform every step, from the entries management, generation of bib numbers and the calculation of the different classifications, individual and colective, during the championship that took place in Corunna, november 2018. The solution is generalised so it can be adapted to other championship configurations. It can also serve to make the calculation of points by club on a regional league or also the points by department/province/region on a national championship. Control of Intermediate Points, Integration with OE2010. It is a subset of another existing system, simpler and easier to implement in order to have time information at intermediate points of an event, in real time. It is based on sending the times of passage in a format recognizable by the OE2010 program through its tracking functions. Control of Intermediate Points, ways of sending data. Regardless of the system used, this document talks about the ways to configure the intermediate points. Here you can see some presentations made for cartography clinics organized by FEDO (Spanish Orienteering Federation). Only in Spanish. These are maps that have been completely drawn but for which fieldworld has not been performed. So, they are a little bit more than a base map, but with the apparience of a final product.